Open your mind to the endless possibilities of being a successful equestrian trainer, including the prestige and wealth that being a successful equestrian trainer can bring. 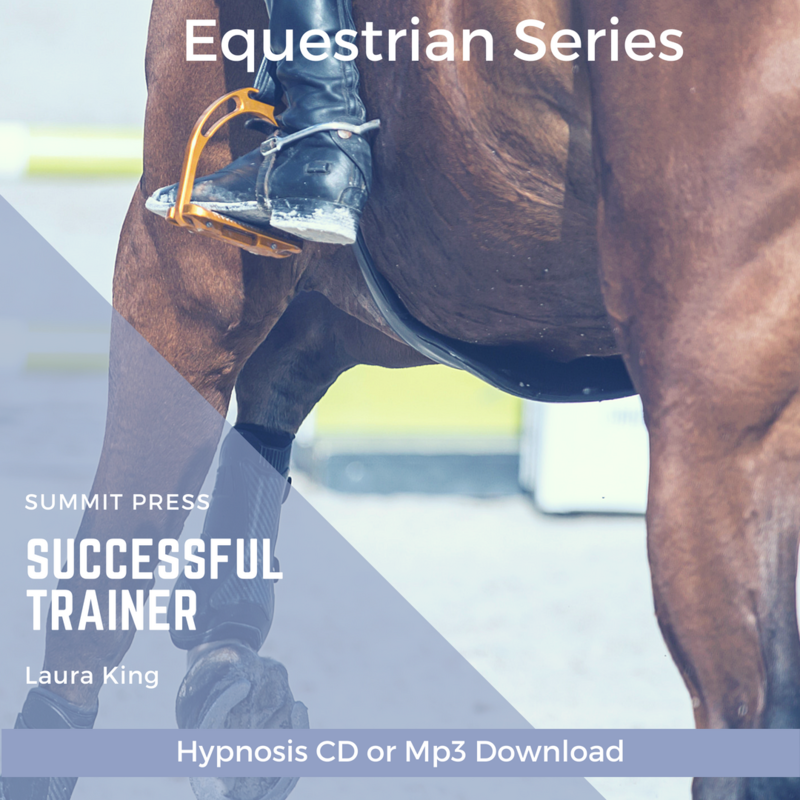 Start listening to Laura’s Successful Equestrian Trainer self-hypnosis today! Listening to Laura’s Successful Equestrian Trainer self-hypnosis will change your thoughts at the deep subconscious level to achieve your maximum success as a trainer. Release accumulated negative thoughts, fears and experiences as an equestrian trainer – these accumulated thoughts are roadblocks to achieving all that you are capable of. Erase all of the limits to success that you have unknowingly placed on yourself and experience the success, prestige and wealth of an equestrian trainer career that fulfills all of your dreams! Successful Equestrian Trainer self-hypnosis enables you to open yourself to the endless opportunities that the world has to offer. Start listening to Successful Equestrian Trainer today with our easy to download MP3.